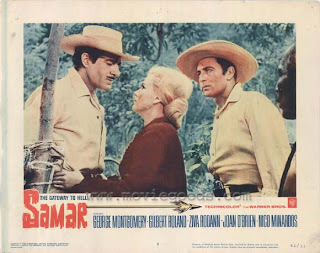 This George Montgomery film is better than average. 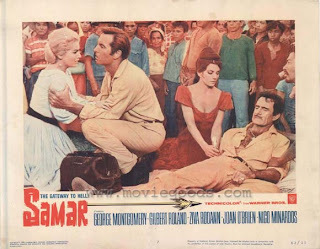 He plays a cynical doctor who is being sent by the Spanish to a prison camp on the island of Samar for his political beliefs. The compassionate commandant (played by Gilbert Roland) has been waiting for a doctor. He is planning to lead the residents of the camp to a new life in the interior. 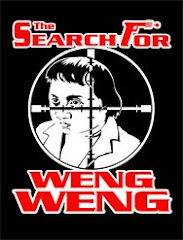 On the way they must fight headhunters, mosquitoes, dense jungle and mud. Montgomery reluctantly goes, because he has no choice. 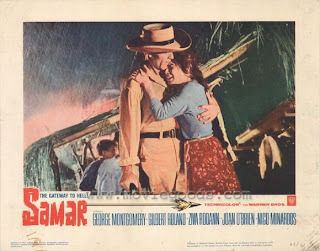 By the time they arrive at their destination, a lost city in the jungle, Montgomery has found a cause and romance. The movie is predictable but pleasant to watch. The cast led by Montgomery, Roland and Israeli actress Ziva Rodan do a good job with what little they have to work with. The colorful locales, action and Rodan's costumes more than make up for the pedestrian plot and script. I would watch it again if I had the chance. Unfortunately, it is rarely shown these days. When I received a copy of American Home Treasures’ recent DVD release “Gripping War Escape Movies”, I was pleasantly surprised to find three full length features on a single DVD. I should have known from the title--not many single features use the plural “movies”--that I was in for greater value than the standard DVD fare. Indeed, with a retail price of only $9.98, I would have been happy with pretty much any combination of movies (remember, some people are actually shelling out the same amount to see “Kangaroo Jack”!). While the three movies included in “Gripping War Escape Movies” may not be “classic” masterpieces, they are for the most part above average quality features, albeit a bit dated, with several recognizable names from recent cinematic history. 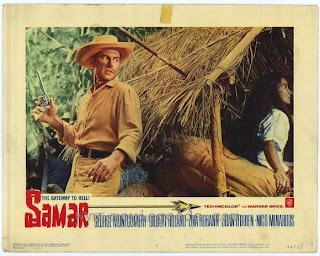 “Samar”, as mentioned above, is the oldest of the three movies making up the “Gripping War Escape Movies” DVD. 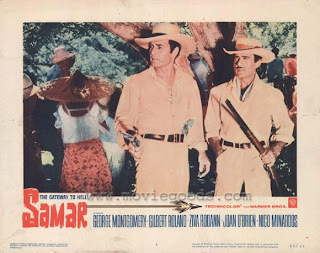 George Montgomery and Gilbert Roland star in this tale of an American doctor (Montgomery) as he becomes involved in a mass escape from a Spanish prison colony in the Philippines. 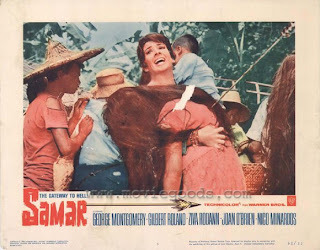 As the title implies, the film is set on the cinematographically beautiful--yet hostile--island of Samar in 1870. 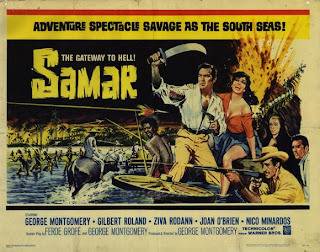 I appreciate the addition of “Samar” to the “Gripping War Escape Movies” DVD as it represents George Montgomery’s relatively successfully stint in a series of low-budget action films based in the Philippines. 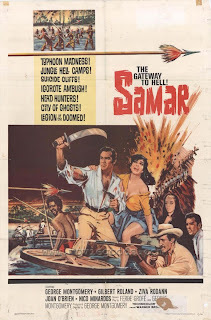 The story may have landed “Samar” a spot on the “Gripping War Escape Movies” DVD, but the action and attractive locations overshadow the simple plot and contribute to the movie’s overall enjoyment.